The Three Peaks are the highest mountains of Scotland - Ben Nevis; England - Scafell Pike and Wales - Snowdon. Some complete the challenge to visit them in less than 24 hours while others take it at a more leisurely pace. On Wednesday I completed a challenge to sleep solo on the summits of all three mountains. 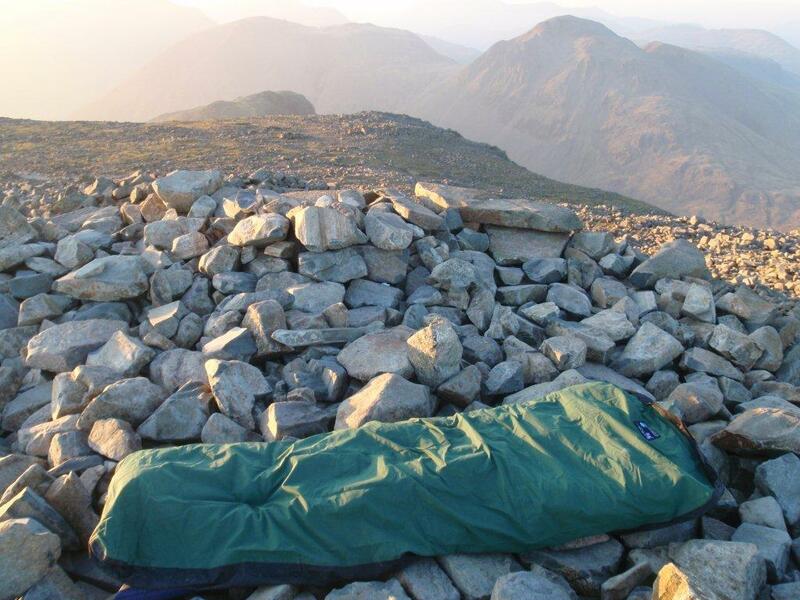 The final summit was that of Scafell Pike which can be seen below showing my bed for the night. I am unaware if this has ever been achieved before although I would expect a handful of people to have slept on all three summits. It would be great to hear from anyone who has or does so in the future. In addition to experiencing numerous shooting stars and meteors, I was also fortunate to find myself at the centre of aBrocken Spectre on Snowdon. Although we are only just on the verge of coming out of the winter I have already spent 15 nights under the stars in my bivy bag this year, further nights are planned this week. 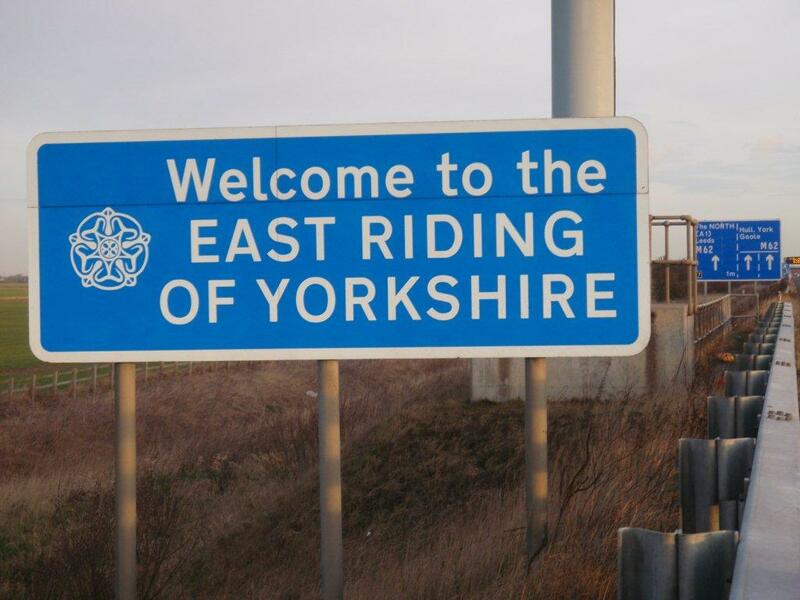 Sleep on the seven extreme points of Yorkshire. Sleep at the six extreme points of Great Britain, solo, on six consecutive nights. Sleep on all five of Lancashire’s extreme points, solo, on five consecutive nights. The time I spent alone on the remote islands developed in me a love of solitude and being at one with nature. This I am in no doubt is most experienced at night. Up to the end of 2010 I had only spent 10 nights in my bivy bag in 4 years. But in 2011 as the places where I experience nature are getting more exposed and rugged, I have spent 19 nights in my bivy. Being in a bivy you fully experience the nature all around you, in comparison to being in a tent where, in some ways, you are removed from it. In many of the places I now spend the night it is not possible to erect a tent. 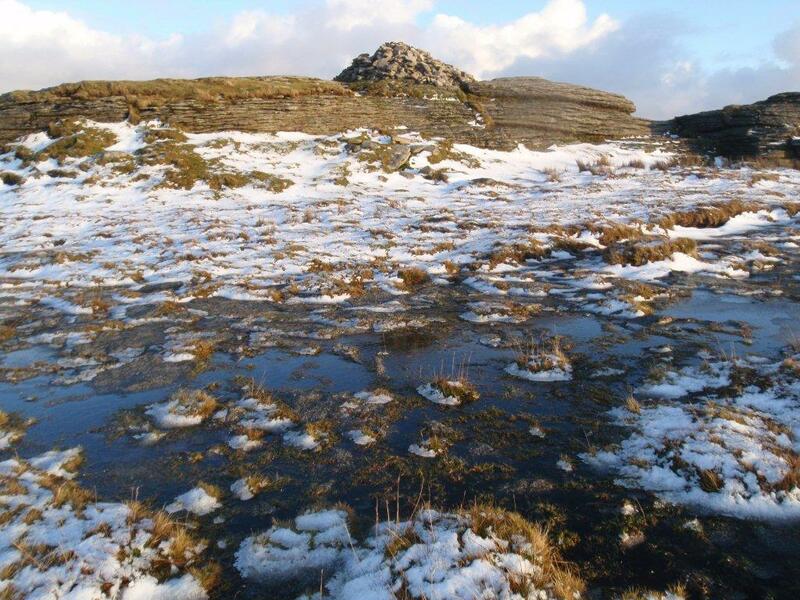 A recent walkabout included spending a night on the top of Dartmoor in December. 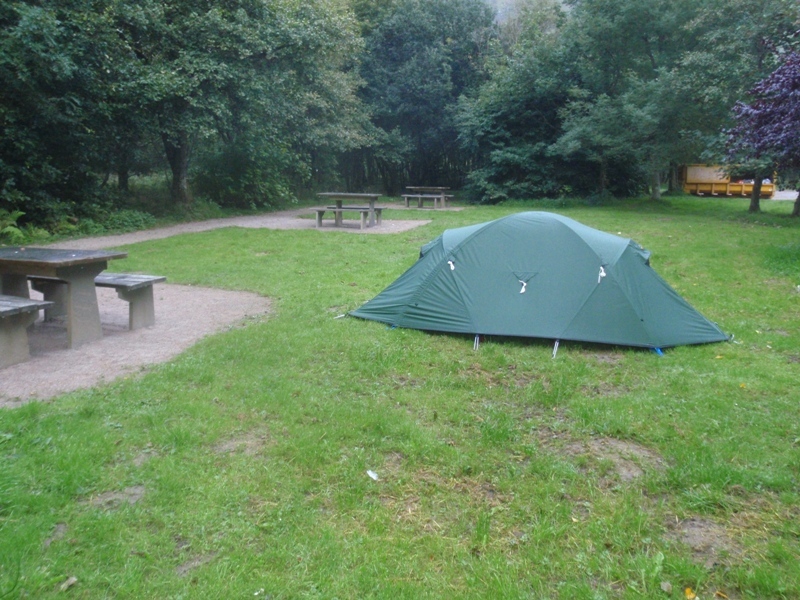 Dartmoor is a fantastic, bleak place to spend the night but only for those with experience and adequate equipment. I have many adventures planned for 2012 and beyond. My bivy bag will certainly be a key part of my kit. I wish you all a peaceful 2012 and a year full of adventure. For reasons known only to themselves The Highland Council (HC) and Transport Scotland have erected many signs across the HC region in lay-bys stating "No Overnight Parking". Nothing wrong with that you may think. 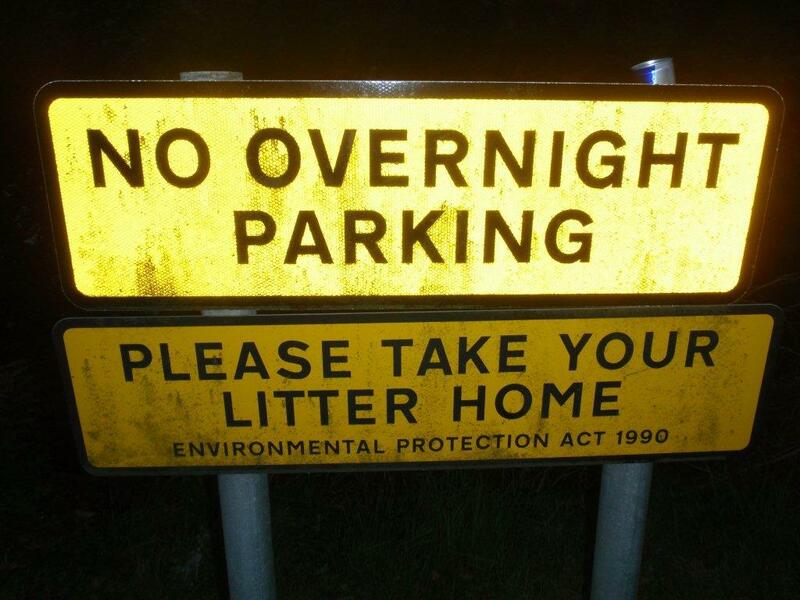 If this is what it states then you cannot park overnight. Anyone with a road legal vehicle has a right to park in any of these lay-bys. The signs are factually incorrect. I have now contacted both bodies requesting their immediate removal. I am happy to make my email communications with both the HC and Transport Scotland available to any member of the public and/or media. If would like to see a copy please feel free to email me. ON YOUR NEXT VISIT TO THE HIGHLANDS PLEASE DO ENJOY AN OVERNIGHT PARK UP IN ANY OF THE LAY-BYS DISPLAYING NO OVERNIGHT PARKING SIGNS!! Photos of your night are most welcome. They can be sent to myself, HC and Transport Scotland!! Having slept at the seven extreme points of Yorkshire and the six exreme points of Great Britain this year, I could not resist the temptation to become the first person to sleep at the five extreme points of Lancashire, solo and on consecutive nights. 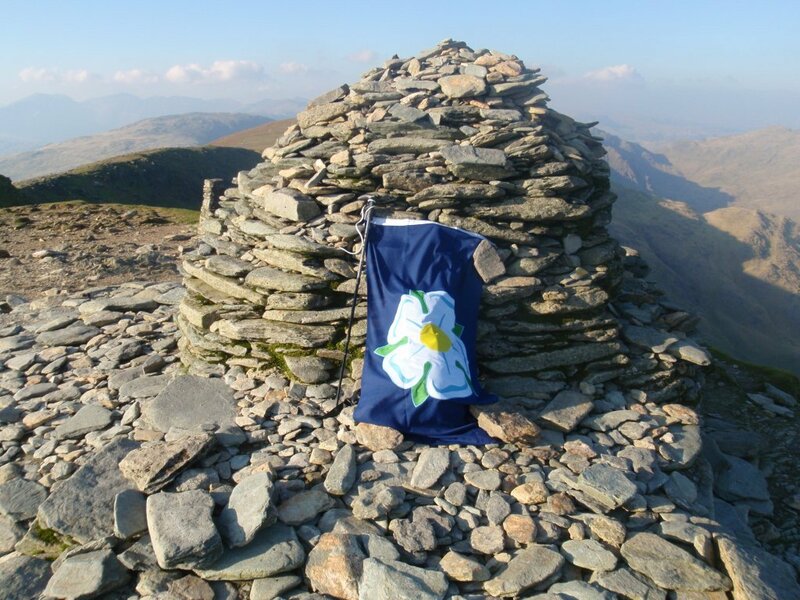 The photo below is the summit of Lancashire, The Old Man of Coniston, with my Yorkshire flag proudly sitting on top of it. The main question I get asked is "What's your next adventure?" I am sure everyone will have worked out that I now keep my cards close to the old chest. When time permits I will share further information about this fantastic adventure. Of course there is another adventure planned, there is always a next! This I hope to undertake in the coming months. Once again, as would be expected, it is highly likely that this will be a first, involve remote locations and solitude. I would like to thank everyone for their kind words following the disappointment of Rockall. A close friend was spot on when he commented "There’s a lot more out there for you to achieve." as I am now in the process of organising new adventures which I will undertake in the coming months! The potential for awe inspiring adventures within the UK is as great as ever. We returned from our training knowing that now only the weather stands in the way of a successful expedition. As part of our training we summited Cliff Skerry (a photo of which appears on my home page), which is part of the Muckle Flugga group. For me, Cliff Skerry is one of the best islands in Scotland. I highly recommend that you visit this fantastic blog: http://john-humphries.blogspot.com/ On it you will see our expedition receives two mentions. Please see: http://www.island-man.co.uk/yorkshireextremepoints.html for further information. The website features regular updates about what is happening on Scottish Islands. In addition you can sign up for a free monthly newsletter, follow the updates on Twitter and take part in discussions on the Forum. A must see website for all Scottish Island enthusiasts. Much of my outdoor activities during 2010 were behind the scenes. My planned expedition to Rockall in 2010 was cancelled due to red tape but shortly afterwards I received notice that I had been successful in my attempt to secure the first ever planning permission for Rockall to re-erect Her Majesty the Queen’s plaque. Understandably this created rather a lot of confusion as to whether my expedition was actually cancelled or not. The expedition is most certainly a go, although until now I have chosen not to reveal when or how it will take place, preferring instead to keep my cards close to my chest. I am now able to confirm that the expedition will take place in 2011. As to a date, I may announce it on this News Page or from the summit of Rockall itself. The boat, skipper and team assembled for Rockall are most certainly first rate and it will be interesting to see who fills the expedition’s remaining berth. We are currently in the process of planning further training for the expedition. A dedicated website for the expedition is also being considered. What a tangled web certain Land Managers weave!! 2011 has potential for some interesting “events” on the access rights front. Unfortunately in 2010 time got the better of me and so I wasn’t able to add many islands to www.scottishislandsaccessrights.co.uk but I will do my best to find the time this year. I am currently in the process of completing an exciting adventure. It is certainly unique and it will be a first. I expect to be able to share further information about this before the end of February. Beyond this and Rockall I am also giving serious consideration to two major adventures, one for 2012 and the other for 2013. If anyone would like to join me on any of my adventures and/or would like to suggest any adventures for my consideration please do not hesitate to contact me. GOOD LUCK TO ALL WHO ARE UNDERTAKING THEIR OWN ADVENTURES AND EXPEDITIONS IN 2011. Next weekend we will meet for a training session with our tender for Rockall. There is only one remaining berth for the expedition for which I invite proposals from anyone who would like to see, land or even spend the night on Rockall. I am pleased to be able to share with you the following footage. The photo below shows the place I “wild camped” at the Glen Nevis Visitor Centre. In March I announced the cancellation of my expedition to Rockall. Shortly afterwards I received notice that I had been successful in my attempt to secure the first ever planning permission for Rockall to re-erect Her Majesty the Queen’s plaque. Understandably there has been rather a lot of confusion as to whether my expedition was cancelled or not. 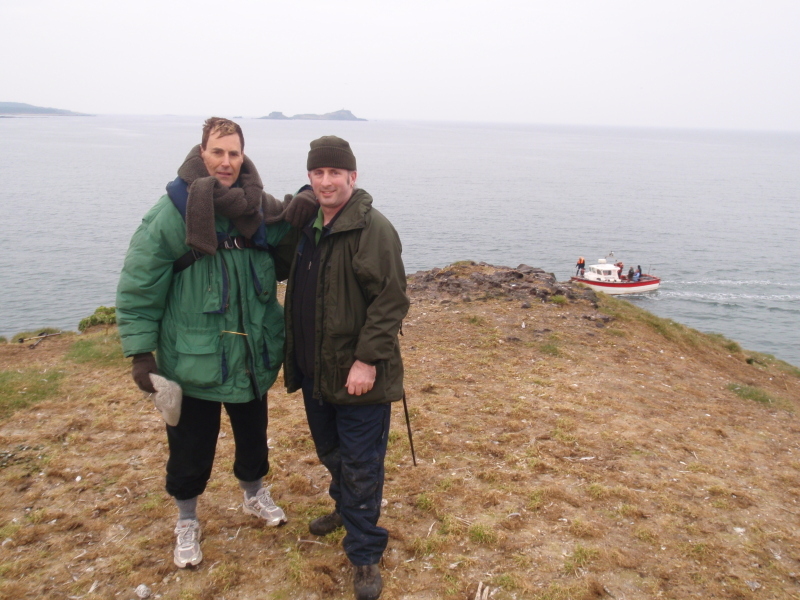 Yes the expedition in June was cancelled and yes I am planning an expedition to Rockall. My intention to spend a night on Rockall, raise my Yorkshire flag over the island and see my Queen’s plaque back in its rightful place is very much a work in progress. I have the boat, the skipper, the team, the equipment, the planning permission and the finance all in place. When am I going to make my attempt on Rockall? I am keeping my cards close to my chest! For anyone who would like to take part in this expedition I invite proposals. Access rights continue to engage much of my time. In the past month I have spent a couple of nights wild camping on Handa, in a Force 9, to establish everyone’s right to wild camp on the island. 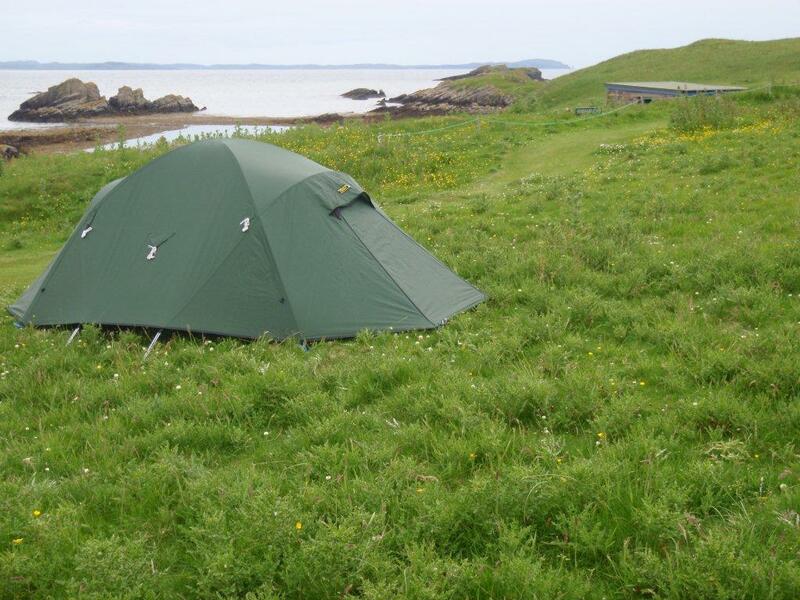 In the photo below you can see my recommended place to wild camp on the island, subject to having a suitable tent! More information will be added to the access rights site about Handa shortly. On 6th March it was my great pleasure to assist Uri Geller in landing and spending a night on Lamb, the island he owns on the Firth of Forth. I am in no doubt that I have spent time in the presence of greatness. Uri is a true gent and a beautiful soul. It is with sadness that I announce the cancellation of the Rockall Expedition. Regulations have now changed for yachts and despite discussions with the authorities the skipper is unable to fulfil these requirements as to do so would require an almost entire rebuild of the yacht interior. Rest assured there are other adventures to be had, so watch this space! Currently a lot of my “island” time is being spent dealing with access rights. Bass Rock is now in the hands of the Ombudsman. As a result of this report I do not expect the charge to remain in its current format. Shortly I hope to add details of some new islands where members of the public can wild camp. 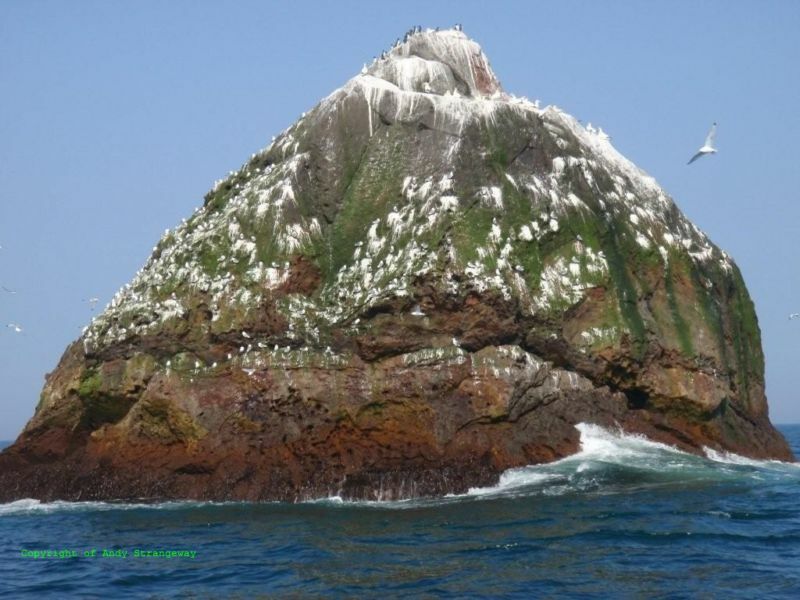 If anyone would like to join me to either see, land on or even spend the night on Rockall please see the Rockall page of this website for further details. Currently I am also investigating possibilities for a very exciting off shoot to this expedition. Rockall – Plans for Rockall are slowly coming together. To become comfortable in a dry suit I am now training to become a diver at my local club. If anyone is interested in a berth for Rockall there are still a couple remaining on each trip. Interestingly enough there are possibly three very exciting off shoots for the Rockall expedition. I hope to be able to share news of these shortly. Other Adventures – Alongside Rockall, I am currently in the process of putting together a proposal for another new adventure. I would like to offer my grateful thanks to Dec for his support in making this new website possible. As I have previously mentioned I am now working to bring clarity and consistency regarding access issues on certain Scottish islands. Currently I am aware of over 20 islands where access rights may need to be “clarified.” Based on my having taken a full year to gain consistency and clarity concerning the access rights on island number one, I think you will agree, that at this pace, over 20 years is too long a period to wait to resolve all the others! So I have invited the Scottish Natural Heritage (SNH) to work with me on the project bearing in mind that they have a duty to promote understanding of the Scottish Outdoor Access Code. I recently met with them and one of the Local Authority Access Officers to move things forward and I hope to be able to report in more detail on this meeting in my next news entry. I have also finally found time to add the report of my recent visit to Lamb, which you can read in the Island Man Magazine http://www.island-man.co.uk/islandmanmagazine.html#lamb I hope that you will find it of interest. News received of the unsuccessful Belgian radio ham trip to Rockall has not deterred my desire to spend a night on the island. I would however approach certain aspects differently to those employed by the Belgians. But for now, I wait. Finally, I was pleased to see Scottish islands gaining coverage during the ITV’s three-part series “Islands of Britain.” Many things in life are stepping stones for that which is to follow and I feel that this will be the case here. The islands covered were certainly of interest, although there are many more exciting Scottish islands than those featured which I’ve never seen covered on the television. Who knows what the future holds for our viewing delight? From past experience I’m aware that when I put things in the public domain others run with my ideas. So I intend keeping thoughts closer to my chest in future and will only share them when the time is right. Owing to the credit crunch, this year more and more people will be holidaying in the U.K. There are numerous uninhabited Scottish islands out there that a family can enjoy for a week free of charge, with transport to and a pick up from a week later at below £200. In fact a drop off can be as little as £10 to some islands and unlike budget air travel you won’t be restricted to 10kg luggage allowance or face the prospect of being delayed in a soulless airport. In the past many would have gone into retreat on these uninhabited islands to be at one with that which is greater. But still, in this modern 21st century world, I know of no one else who is experiencing the awe-inspiring wonder of sleeping alone on an uninhabited island. This I do not understand. I also hope to post a report of my visit to Lamb in the Island Man Magazine section of this website as soon as time permits. But in the meantime I am sure you will agree the photos tell a wonderful story in themselves. In addition to these, I have many more pictures and extensive video footage of the island taken during my time there. Amazingly I may be the first person to have spent the night on Lamb. What a fantastic island. A pure land. I am currently aware of certain access issues on certain islands. As someone who believes in equal access for all, I feel that the time is right to start asking the necessary questions, which for some reason others do not seem to be prepared to ask, about access rights on Scottish islands. As I undertake this, I do so in full knowledge that I could become black-listed in certain quarters. As a man who believes in that which is morally correct, I have no choice but to accept that risk. Access rights have been gained over many years by those who had a lot more than myself to lose and all those today who enjoy those hard won rights due to the sacrifice of others should never forget this. Upon my completion of what ultimately became the Strangeways, I had a moral obligation to help in any way I could to halt depopulation across the Scottish islands, by sharing my experiences with as large an audience as possible. This I have done by being proactive with various media outlets and open to all the media enquiries I received. Late in 2008 I also realised that I could help others in facilitating their Scottish island ambitions. My plan was to facilitate climbing on St Kilda; landings for Marilyn baggers on the St Kilda wall islands and tourist visits to North Rona and Boreray. With each one I had managed to secure permission where required plus the services of skilled boatmen and all of these adventures were offered on this site. Unfortunately, as a consequence of my putting the trips together, I have received numerous accusations of self interest bordering on the liable. Yet the nominal profit I might have made from any of the trips did in fact mean that I would have made a loss, as the sum earned would have been significantly less than I would have made as a decorator. How that can be interpreted as self interest is beyond me. I am sure that most of you reading this would be amazed if you knew the real extent of this attack on my character. You will see that I have now removed all these adventures from this site to avoid a repeat of such accusations in the future. However, I am still more than happy to facilitate Scottish island adventures for others but only on a bespoke commissioned basis. I would like to thank everyone for their feedback following the re-launch of this site. The Strangeway Hall of Fame has generated a general “I didn’t realise how few islands I had slept on”. Those of you who read my first book will be aware of how I started from a very naive base. Please do not be put off from joining the Hall of Fame by believing your total is “too low” in comparison to others, as I genuinely believe only a maximum of 10 people have slept on more than 25 Strangeways. For me, like everyone else, 2008 has seen its highs and also its lows. In March I was honoured to be invited to give the Annual Munro Society Lecture. In May I witnessed the enormity that is Rockall, there observing six people’s highs as they each achieved their own ultimate, whilst I was only able to watch and experience my first Scottish island failure and a low which previously I had been unaware of. By the time I had arrived back in port I knew my destiny still awaited me and that one day I would be back with my Yorkshire flag on top of Rockall. In the Autumn I was fortunate to sleep on some of Scotland’s smaller islands with the assistance of the RSPB, Historic Scotland, Scottish Seabird Centre and the respective island owners for which I am most grateful. Some wonderful new friends have been made throughout the year. I have finally learnt to switch on a computer and have even bought my first mobile. But entrance into the 21st century for a man who is firmly based in 1965 was surprisingly not my most amazing occurrence of the year. This highest accolade is awarded for my not only joining the gym but actually enjoying it! 2009 has potential to be even more exciting than the collective five previous years. Rockall is fixed firmly in my sights but of equal importance are other’s ultimate island goals, which I now find myself in a position to facilitate. The boatmen of Scotland continue to be there whenever I need their assistance and I thank them for their support. My lows of the year, with the exception of the very public Rockall, were experienced within, in private and known only to myself and my wife Ruth, who continues to amaze me with her love, understanding and acceptance of a very focused man. My spiritual life is very much an unfolding journey and through my continued study of Buddhism I realise that I will need many more lives to achieve my true ultimate. I wish you all a Merry Christmas and a Happy New Year filled with adventure and peace. I would like to welcome you all to my new website. This year I had hoped to publish my second book, covering islands 43 to 103, but alas the credit crunch has also hit Yorkshire so unfortunately this has had to be shelved until the economy improves. After it does appear, a third and final book will conclude the story of my visits to the 162 Scottish islands that are 40 hectares and above. The Strangeway Hall of Fame section will be of interest to those of you who have slept on some of the Strangeways. I look forward to seeing many of your names appearing on the list and hopefully to meet the second person to complete the Strangeways one day. For those of you seeking the ultimate of adventures on Scottish islands, I suggest that you take a look at the Island Man Adventures section. 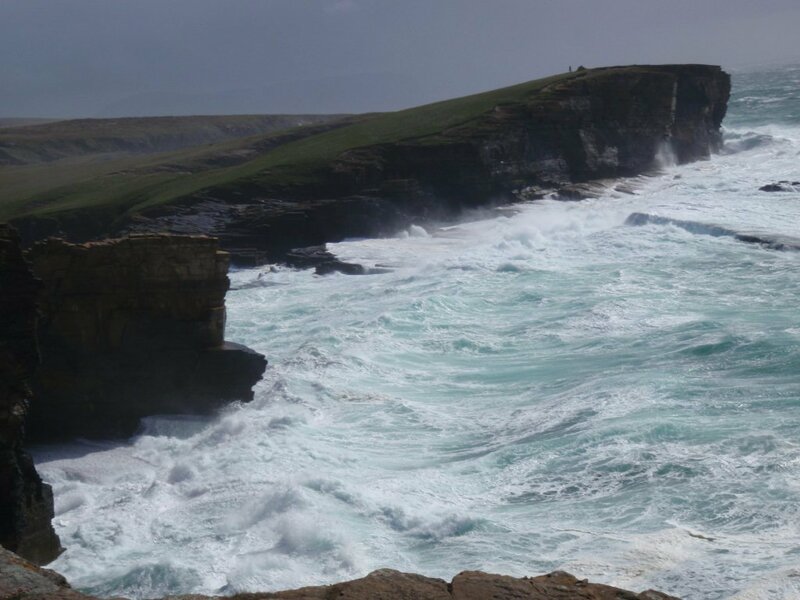 My intention in introducing the Strangeway Hall of Fame, the Island Man Magazine and the Island Man Adventures sections is to help others achieve their own goals on Scottish islands.